Union of Concerned Scientists | Watts Up With That? July 17, 2013 in Humor, Marcott et al proxy paper, NGOs, Satire. July 14, 2013 in Extinction, Science. June 29, 2013 in extreme weather, Government idiocy, Humor, Ridiculae, Satire. June 22, 2013 in tornadoes, Weather. February 26, 2013 in Energy, NGOs, Opinion, Politics, Ridiculae, wind power. 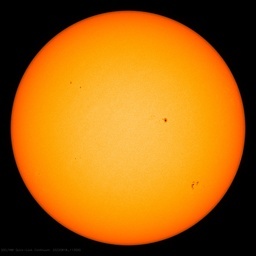 February 12, 2013 in IPCC AR5 leak, Solar. February 6, 2013 in FOI. Josh provides this updated cartoon which was originally intended to be a Friday Funny last week. The reason for this cartoon about the Union of Concerned Scientists will become clear in a couple of days. January 20, 2013 in Humor, NASA GISS, Satire. November 21, 2012 in Government idiocy. October 23, 2012 in media, Opinion.